“The technique of Meditation permits us to arrive at the heights of illumination and the revolution of the dialectic. We must distinguish between a mind that is still and a mind that is stilled by force. When the mind is stilled by force, it is really not still. It is gagged by violence and in the deeper levels of understanding there exists an entire tempest. When the mind is violently silenced, it is really not in silence. Deep within, it clamours, it shouts, it is in despair. It is necessary to put an end to the modifications of the thinking system during Meditation. When the thinking system remains under our control, illumination comes to us spontaneously. “Take everything from each moment because each moment is a child of Gnosis; each moment is absolute, alive and significant. Momentariness is a special characteristic of the Gnostics . We love the philosophy of momentariness. To commence with the study of the technique of Meditation is to enter into the antechamber of the divine peace that surpasses all knowledge. The most elevated form of thinking is non-thinking. When one achieves the stillness and silence of the mind, the “I” with all its passions, dens, appetites, fears, affections, etc. becomes absent. “The stillness and silence of the mind has a single objective: to liberate the Essence from the mind, so that when fused with the Monad or Inner Self, it (the Essence) can experience that which we call the truth. During ecstasy and in the absence of the “I,” the Essence can live freely experiencing the truth within the World of the Mist of Fire. When the mind is in a passive and receptive state, absolutely still and in silence, the Essence or Buddhadatu is liberated from the mind, and the ecstasy arrives. The Essence is always bottled up in the battle of the opposites, but when the battling ends and the silence is absolute, then the bottle is broken into pieces and the Essence remains free. When we practice Meditation, our mind is assaulted by many memories, desires, passions, preoccupations, etc. We must avoid the conflict between attention and distraction. A conflict exists between attention and distraction when we combat those assailants of the mind. The “I” is the projector of such mental assailants. Where there is conflict, stillness and silence cannot exist. We must nullify the projector through self-observation and comprehension. Examine each image, each memory, and each thought that comes to the mind. Remember that every thought has two poles: positive and negative. Two aspects of the same thing are entering and leaving. The dining room and the washroom, tall and short, pleasant and unpleasant, etc. are always two poles of the same thing. Examine the two poles of each mental form that comes to the mind. Remember that only through the study of these polarities can one arrive at a synthesis. Every mental form can be eliminated through its synthesis. Example: the memory of a fiancée assaults us. Is she beautiful? Let us think that beauty is the opposite of ugliness and that if in her youth she is beautiful, in her old age she will be ugly. The synthesis: it is not worthwhile to think about her; she is an illusion, a flower that will inevitably wither. In India, this self-observation and study of our psyche is properly called pratyahara. Bird-like thoughts should pass through the space of our own mind in a successive parade, but without leaving any trace behind. The infinite procession of thoughts projected by the “I” is exhausted in the end, and then the mind remains still and in silence. This technique of Meditation with its non-thinking puts to work the most central part of the mind, the one that produces the ecstasy. 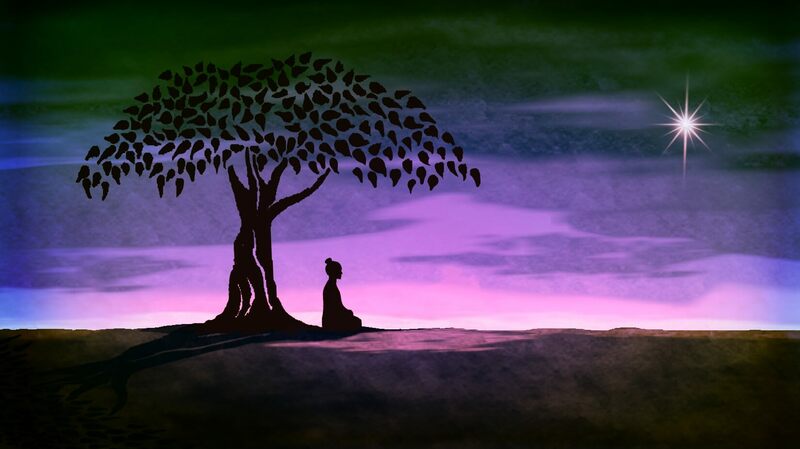 Remember that the central part of the mind is that which is called Buddhadatu, the Essence, the Consciousness. When the Buddhadatu awakens we remain illuminated. We need to awaken the Buddhadatu, the Consciousness. The Gnostic student can practice Meditation seated in the Western or Oriental style. It is advisable to practice with the eyes closed to avoid the distractions of the exterior world. It is also convenient to relax the body carefully, thus avoiding any tension in the muscles. The Buddhadatu, the Essence, is the psychic material, the inner Buddhist principle, the spiritual material or raw matter which will eventually give shape to the Soul. The Buddhadatu is the best that we have within and awakens with profound inner Meditation. Indeed, the Buddhadatu is the only element that the wretched intellectual animal possesses in order to arrive at the experience of that which we call the truth. The only thing that the intellectual animal can do (being unable to incarnate the Being due to the fact that he still does not possess the superior existential bodies) is to practice Meditation, to self-awaken the Buddhadatu and to know the truth.